An English Speaking Driver will meet you at your Cruise Dock to start a wonderful personalized experience off the Beaten Paths, please kindly be informed that our driver is always available to modify or change this tour at your own pleasure. 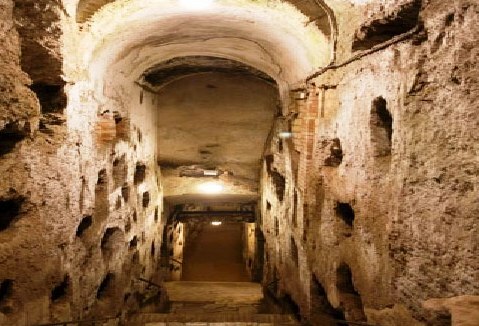 Although most parts of the city are steeped in history, the most significant Catacombs in Rome are San Callisto, San Sebastiano and Santa Domitilla along the Appian way. The reason there are so many in existence is because there was actually a time when it was against Roman law to bury the dead within the walls of the city. Hence, locals would dig out these deep catacombs which go on for more than 200 miles. The road leads south out of Rome but while there are buses which will eventually get you to where you need to go, the ultimate way to travel to the Catacombs is by taking a private tour. This way, there will be no confusion with directions, no waiting around and you will have the huge benefit of an experienced private driver to explain the sights as you go. There are different parts to the Roman Catacombs and much to see with the Basilica's also nearby, but the highlight is usually within the lower levels where you will firstly find the Papal Crypt in the the Catacombs of San Callisto. In the crypt of S. Ceclia you will find a fitting tribute with mosaics and frescoes covering the walls. Then ”the Cubicles of the Sacraments” is where these tombs have paintings dating back to the 3rd Century. But before you get to any of this, a tour of the Papal crypt is fascinating; where the remains of several Pope's lie today and it really is a surreal experience to step inside these crypts where the bodies have long been preserved. The Catacombs of San Sebastian are quite similar in a sense that it is a continuation of tombs, mosaic walls and ancient paintings but there is the Basilica of San Sebastiano here which is another fascinating attraction. Last but not least, is the Santa Domitilla which are some of the oldest Catacombs of them all. The tour begins in a Basillica which leads down another eery staircase to where you will see some of the remaining catacombs. More mosaics, more intriguing history and at the end, if you look up, you will see the famous painting of The Last Supper. 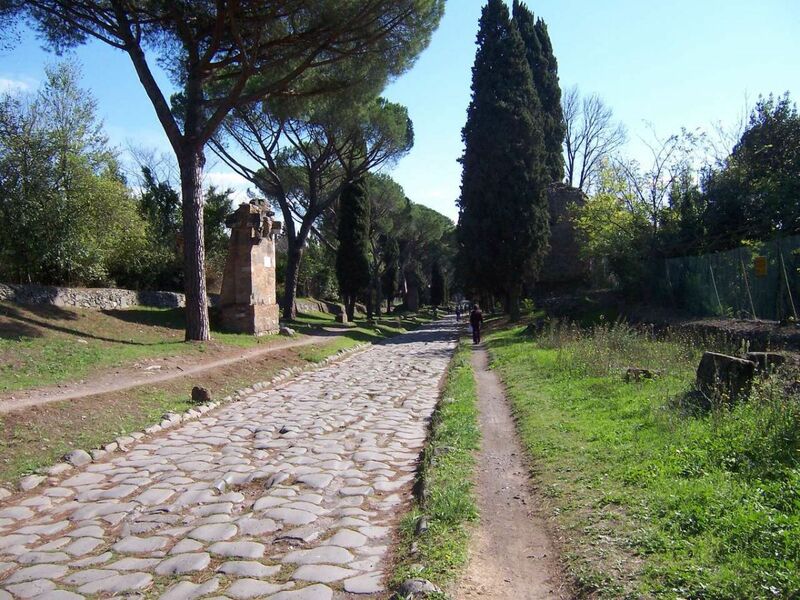 A day trip to the Appian way with a private driver is a very popular tour from Rome for good reason and as long as you are not too afraid, the tour of the Catacombs is a highly enjoyable way to learn some of the oldest history in Italy. 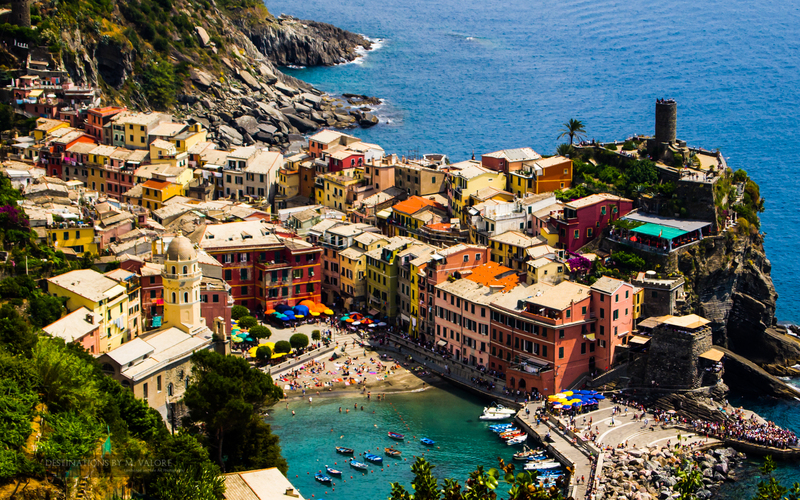 If you’ve visited Rome in the past you may get off the Beaten Paths and visit the Roman countryside where the Popes use to spend their Holidays of course like ny Italian Sightseeing tour this might turn into a foodie tour. 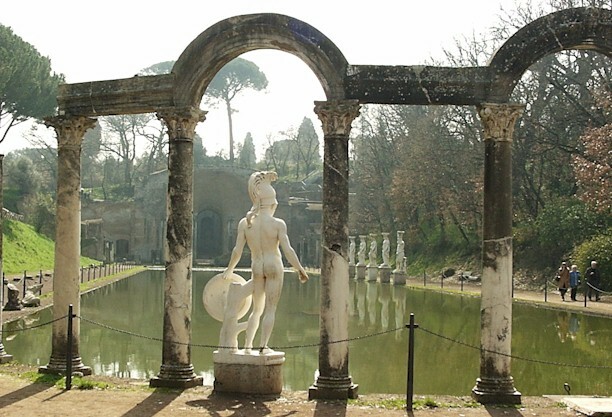 The Roman hills, as the name suggests, is an area steeped in history and a gem to explore on a day tour from Rome. Lake Albano is the main attraction in the middle of these hills where there is a quiet medieval village to stop for photograph's but the morning journey through the lush countryside and hills is also a highly memorable part of this day trip from Rome. The most enjoyable way to take a trip into these hills is on a limo tour from Rome and one of the main reasons for this is not just so that you can forget about directions but because your private driver is always excited to explain the history along the way and point out the main areas of interest. Many of the roads in these parts are ancient military roads used by the Romans and they lead all the way to one of the most famous places to visit in Italy, the Castel Gandolfo. These are beautiful gardens, but they have so much more importance than the name suggests; The Castel Gandolfo is where the Papal resides during the Summer and was only recently opened to the public. 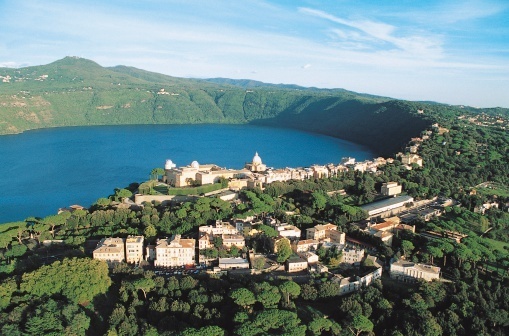 Pope Francis, unlike his predecessors, had decided against using the Castel Gandolfo for relaxation purposes and so this is the reason they are now open for private tours. Any archeological or history enthusiast will have a lot to explore, but the gardens and location is so serenely beautiful, that it would be difficult not to enjoy every part of this day trip regardless of the history behind the location. If you’ve visited Rome in the past you may just taste it again for a few hours to get into the hug of the Vatican and admire the majesty of the Sistine Chapel. Where the wealthy, the powerful and notorious rub shoulders. The poets, Roman emperors and artists conjoin. It takes very little imagination to conjure up images of what took place when you step inside but it's always best to visit the Colosseum with a private guide to see the big picture. Thankfully you don't need to wait in line on a private tour in Italy and can bypass the waiting tourists lining up outside. The Colosseum is truly a magnificent sight and even more so as your tour guide begins to illuminate the setting and bringing the oval shaped Amphitheatre back to life. You are now walking in the footsteps of Emperors, generals and one of the most famous landmarks in the world. Outside the Colosseum is the Arch of Constantine, another iconic sight and then shortly down the road is the Roman Forum. There are few places you can visit which are steeped in so much history and the atmosphere is always slightly tense as you imagine the scenes which took place here many years ago. Art is one of the main focuses of any trip to the Vatican and your guide will explain the significance of the many sculptures along the way and art from the Medieval, Renaissance and Baroque periods. Shortly after, there is the Sistine Chapel where Michelangelo masterpieces adorn the interior and here you will hear about arguably one of the most important times for art in the history of mankind. The last and most famous part of any trip to the Vatican is of course St Peter's Basilica which is easy to recognize thanks to the artistic dome which was deigned by Michelangelo himself. Again, there is much history and storytelling from your guide at this point but there is also time for you to take a look around at your own leisure. For the Vatican tour, we strongly suggest pre-purchasing HERE on line booking at 2 PM in order to avoid long lines that you will normally find every day. We also recommend to pre-purchase your ticket online (if you wish to enter) for the same reason. 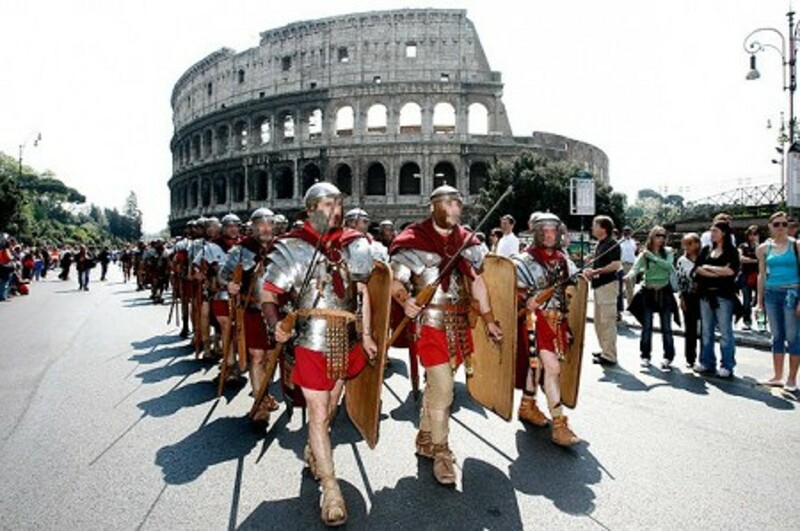 Make this reservation between 9.30-10 AM if you plan on visiting inside the Colosseum. 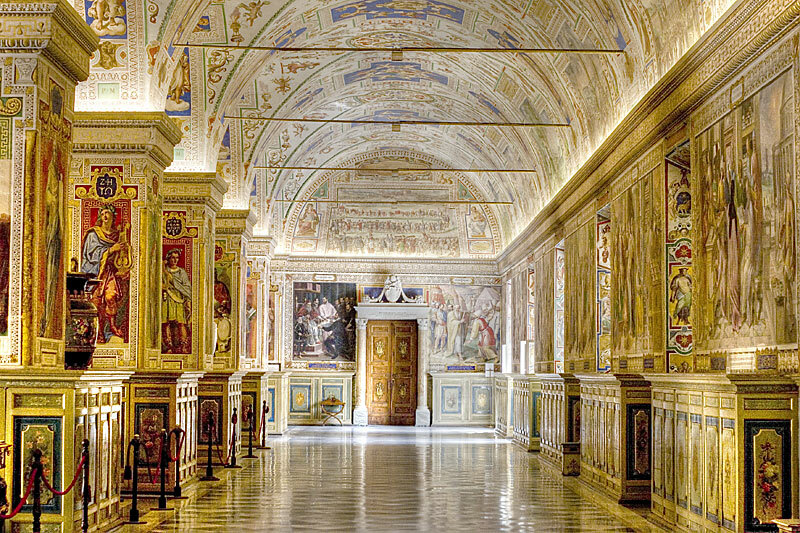 If you if you wish to have a private guided tour of the Vaticans you should reserve it in advance. 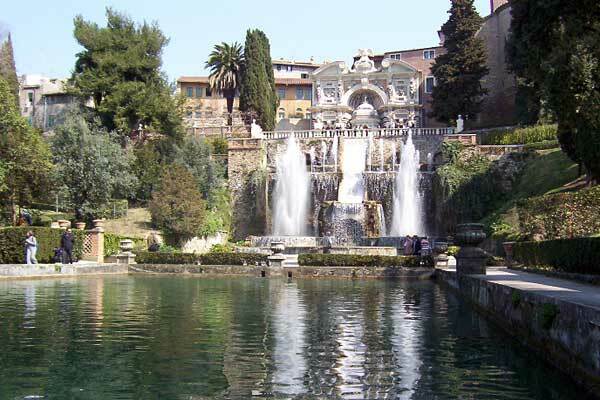 If you wish to visit the Vatican’s Gardens price is 32.00 euro per person and you should reserve it in advance. 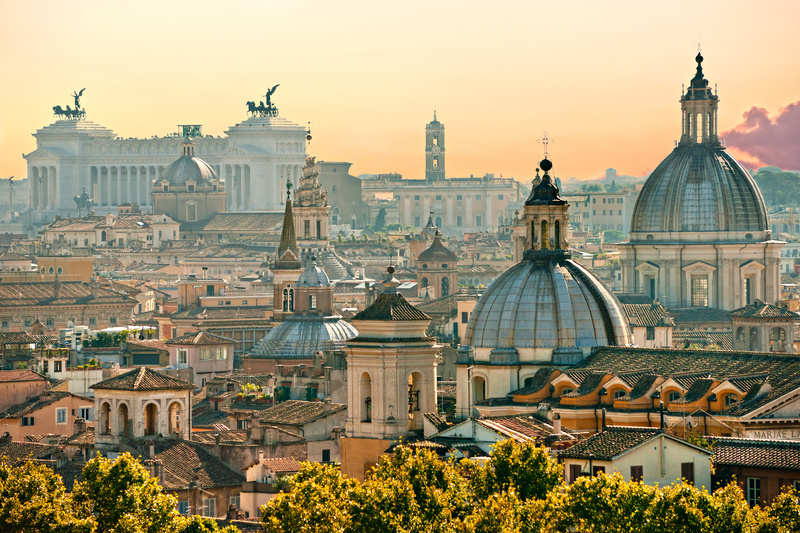 Whether it be a private shore excursion or a trip with a private driver, Rome is the most city for tours in Italy for good reason and no trip to the Vatican city, is complete without a day tour to Vatican itself and a walk around the impressive Colosseum. Italiano Limousine English Speaking Driver will meet you at your Cruise Terminal and start a wonderful personalized experience The Eternal City of Rome, Coliseum, Palatine Hill Roman Forum, Circus Maximus, Phantheon, Spanish Steps, Venice Plaza, Trevi Fountain. 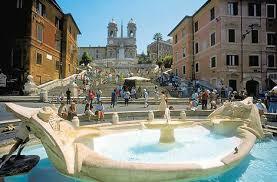 If you are never been to Rome, this is the tour you shoud take to feel sensation of Past Glory. If you've visited Rome before you my want to take a look to our VATICAN MUSEUMS TOUR or go OFF THE BEATEN PATHS to ROMAN HILLS AND CASTELGANDOLFO. ANYWAY Let’s concentrate to the Rome Highlights tour. The Colosseum or Coliseum, also known as the Flavian Amphitheatre is an oval amphitheatre in the centre of the city of Rome, Italy. Built of concrete and sand, it is the largest amphitheatre ever built and is considered one of the greatest works of architecture and engineering. The Colosseum is situated just east of the Roman Forum. Construction began under the emperor Vespasian in 72 AD, and was completed in 80 AD under his successor and heir Titus. Further modifications were made during the reign of Domitian these three emperors are known as the Flavian dynasty, and the amphitheatre was named in Latin for its association with their family name (Flavius). An impressive – if rather confusing – sprawl of ruins, the Roman Forum was ancient Rome's showpiece centre, a grandiose district of temples, basilicas and vibrant public spaces. The site, which was originally an Etruscan burial ground, was first developed in the 7th century BC, growing over time to become the social, political and commercial hub of the Roman empire. Landmark sights include the Arco di Settimio Severo, the Curia, and the Casa delle Vestali. Like many of Rome's great urban developments, the Forum fell into disrepair after the fall of the Roman Empire until eventually it was used as pasture land. In the Middle Ages it was known as the Campo Vaccino ('Cow Field') and extensively plundered for its stone and marble. The area was systematically excavated in the 18th and 19th centuries, and excavations continue to this day. 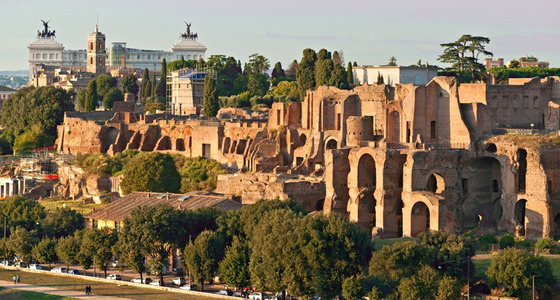 Sandwiched between the Roman Forum and the Circo Massimo, the Palatino (Palatine Hill) is an atmospheric area of towering pine trees, majestic ruins and memorable views. It was here that Romulus supposedly founded the city in 753 BC and Rome's emperors lived in unabashed luxury. Look out for the stadio (stadium), the ruins of the Domus Flavia (imperial palace), and grandstand views over the Roman Forum from the Orti Farnesiani. Roman myth holds that Romulus established Rome on the Palatino after he'd killed his twin Remus in a fit of anger. Archaeological evidence clearly can't prove this, but it has dated human habitation here to the 8th century BC. 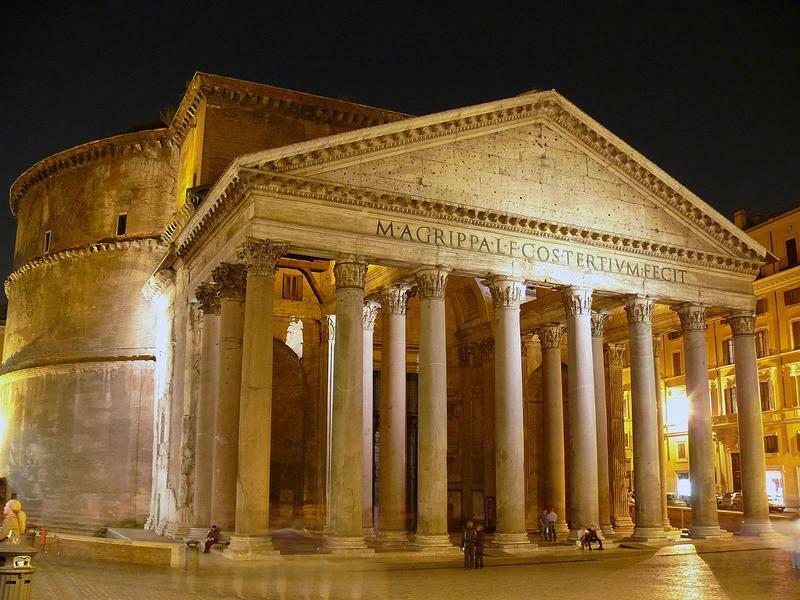 A striking 2000-year-old temple, now a church, the Pantheon is the best preserved of Rome’s ancient monuments and one of the most influential buildings in the Western world. Built by Hadrian over Marcus Agrippa’s earlier 27 BC temple, it has stood since around AD 125, and although its greying, pockmarked exterior looks its age, it's still a unique and exhilarating experience to pass through its vast bronze doors and gaze up at the largest unreinforced concrete dome ever built. For centuries the inscription under the pediment - 'M:AGRIPPA.L.F.COS.TERTIUM.FECIT' or 'Marcus Agrippa, son of Lucius, consul for the third time built this' - led scholars to think that the current building was Agrippa's original temple. However, 19th-century excavations revealed traces of an earlier temple and historians realised that Hadrian had simply kept Agrippa's original inscription. A magnet for visitors since the 18th century, the Spanish Steps (Scalinata della Trinità dei Monti) provide a perfect people-watching perch and you’ll almost certainly find yourself taking stock here at some point. Piazza di Spagna was named after the Spanish Embassy to the Holy See, although the staircase, designed by the Italian Francesco de Sanctis and built in 1725 with a legacy from the French, leads to the French Chiesa della Trinità dei Monti. The Fontana di Trevi, scene of Anita Ekberg's dip in La Dolce Vita, is a flamboyant baroque ensemble of mythical figures and wild horses. It takes up the entire side of the 17th-century Palazzo Poli. A Fendi-sponsored restoration finished in 2015, and the fountain now gleams brighter than it has for years. 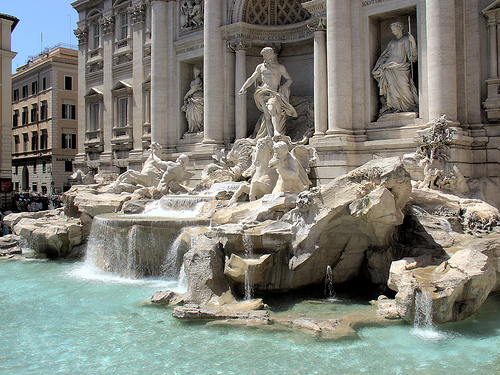 The tradition is to toss a coin into the water, thus ensuring that you'll return to Rome. 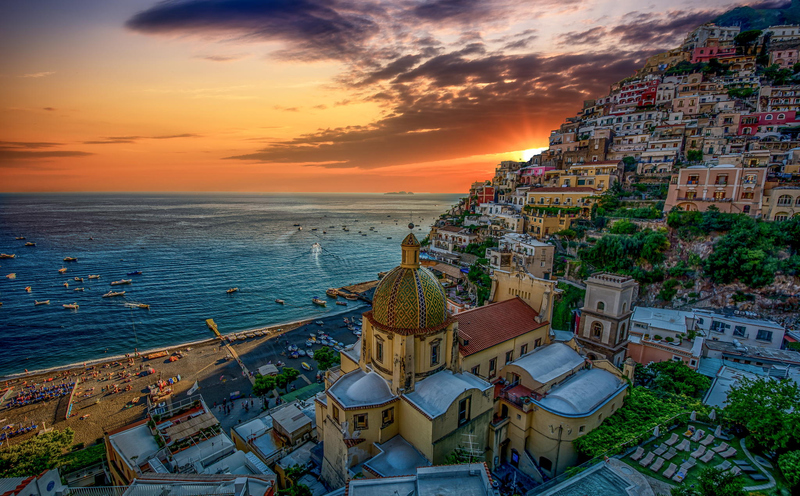 Italiano Limousine English Speaking Driver will meet you at your Cruise Dock to Transfer you to the hearth of Rome, of course arrange an appointement for yoru return ride to your cruise ship.